Halfway there and on the home run! We’re over halfway now with just 11 days to go! Our funding is at a healthy 120K which is good news for the backers because they get loads of free kit and unlocked add-ons that we’re selling at miniscule prices. Now’s the customary ‘quiet time’ of any Kickstarter where people mull over what to add, some hold back until the end and some just wander off. If you know anyone on the fence then please urge them to jump aboard, this is the perfect time before the last rush. Also, without those pledges we can’t unlock the stretch goals! So far we’ve unlocked an elevator, walls with windows, computer consoles and a medi-bay, none of which would have seen the light of day if it wasn’t for the extra funding. 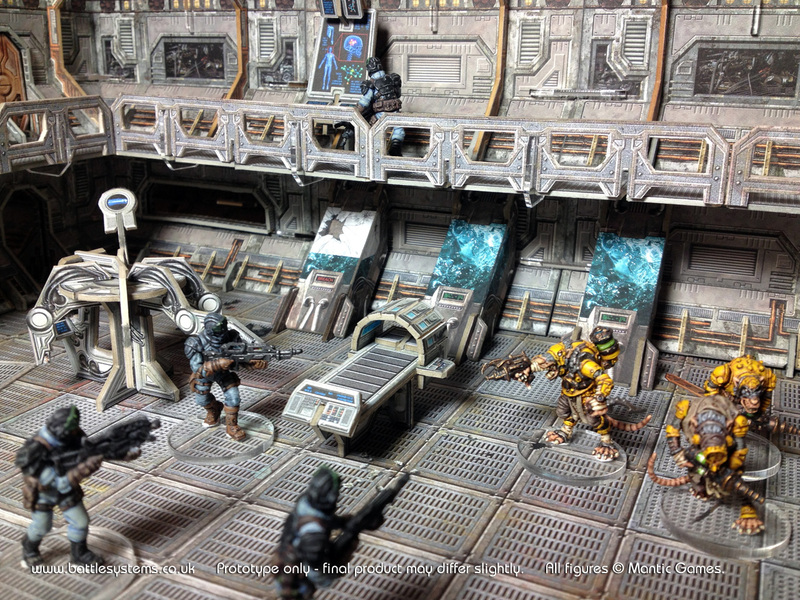 The medi-bay add-on, very popular with broken soldiers. We’ve been getting plenty of gaming press coverage, Beasts of War have a page of articles and a vid here: http://www.beastsofwar.com/on-the-table/s6-ep7/ (we’re in at about 7min 30s). Colin and Wayne have very different approaches. We expect the last 48 hours to go crazy so if you don’t hear from us it’s because we’re drowning in a sea of comments, PMs, emails, suggestions and demands for gold toilets! 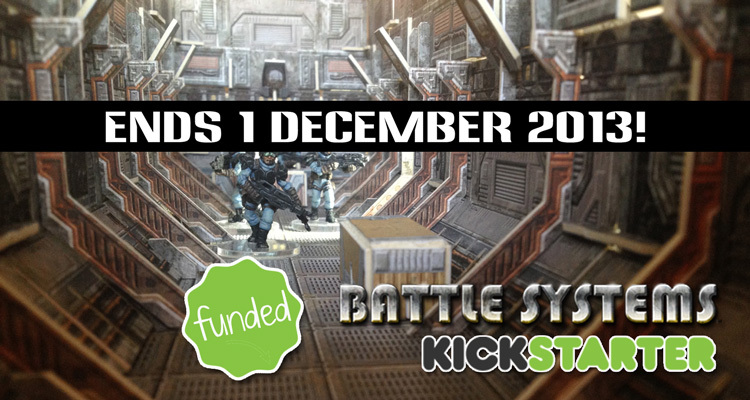 It’s been hectic here at Battle Systems, we got our funding in a ludicrous 4 hours and are now at over 358% with 25 days to go! It’s been tough, keeping up with the comments/demands, updating the site, juggling work and family, floods of emails crashing our devices etc. (collapses on desk, snores). Also, first day in I was out cold with food poisoning so Colin had to run the show by himself ! We take turns looking after things but we have to sleep sometimes and our stalwart supporters have jumped in and answered any questions. Cheers, guys! 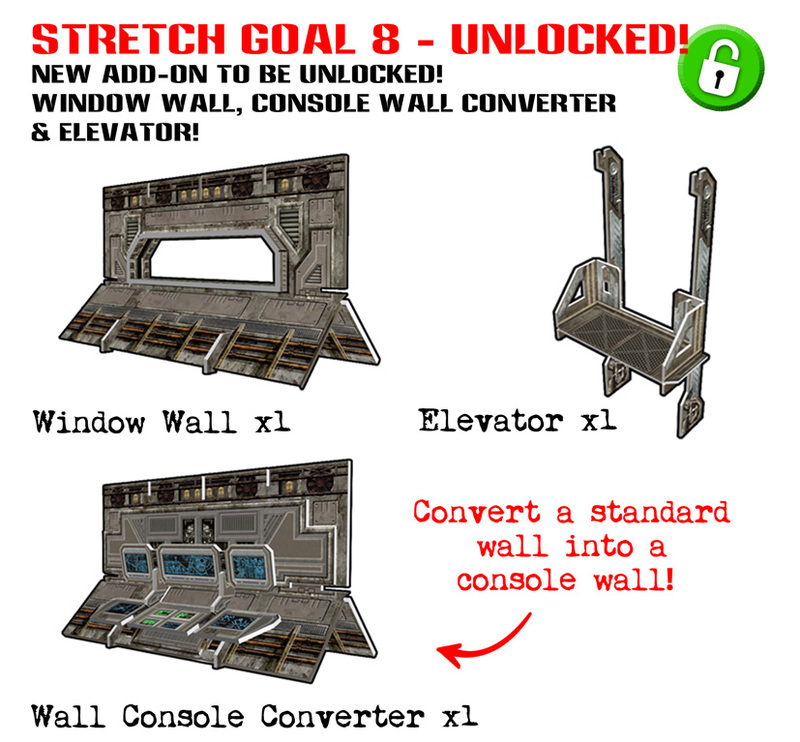 Stretch goals a-plenty. You smash ’em as soon as we rack ’em! We’ve also been getting lots of advice on what everyone wants (it is a serious wish list!) and ploughing through what we think can work. We have several stretch goals lined up and may have a few tie-ins up our sleeves but early days yet. 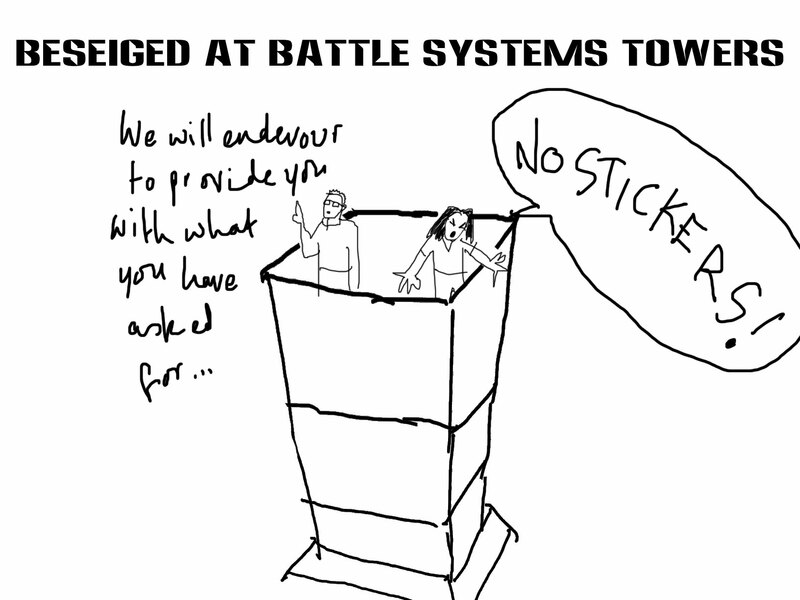 Feel free to jump in and give your two pennies worth on the comments page of our Kickstarter. Yep! and you can go to it right now! 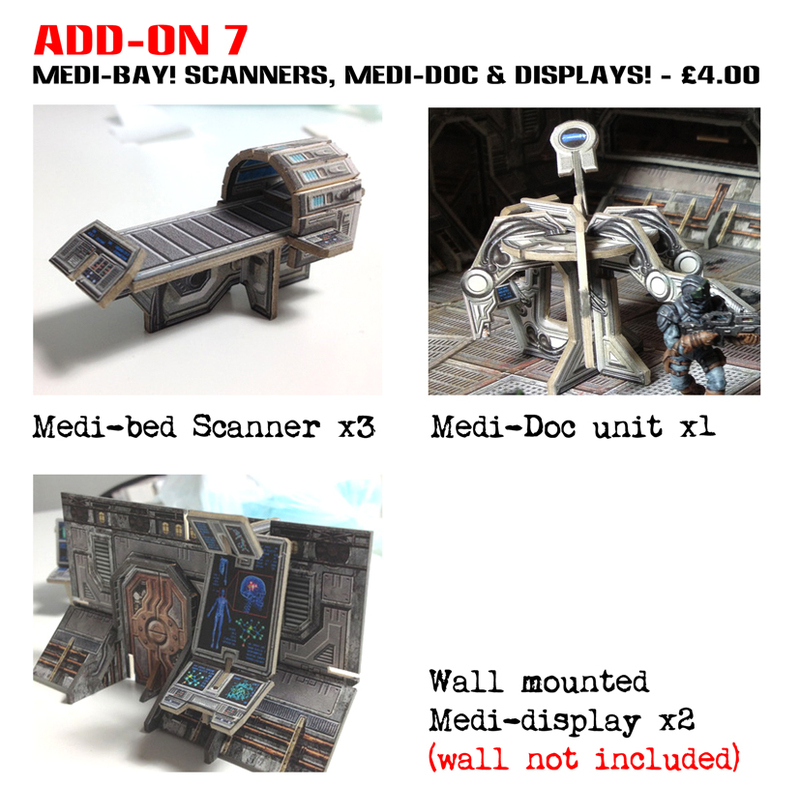 Clone chambers, medi robot, scanners, bed thing. This isn’t the gym.